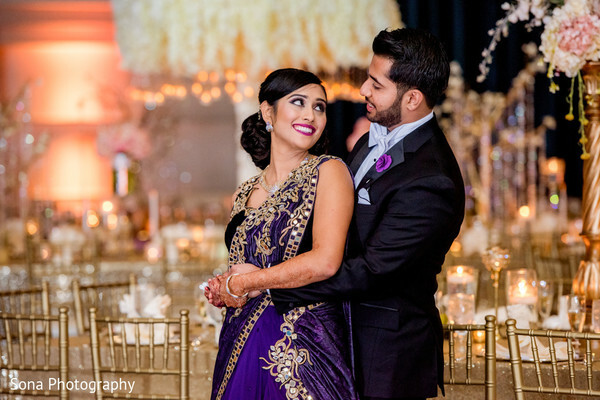 As a bride, seeing your Indian wedding events come to an end is a sad time indeed. After months of planning, sleepless nights, (and sometimes becoming a bridezilla), weddings can get pretty hairy. 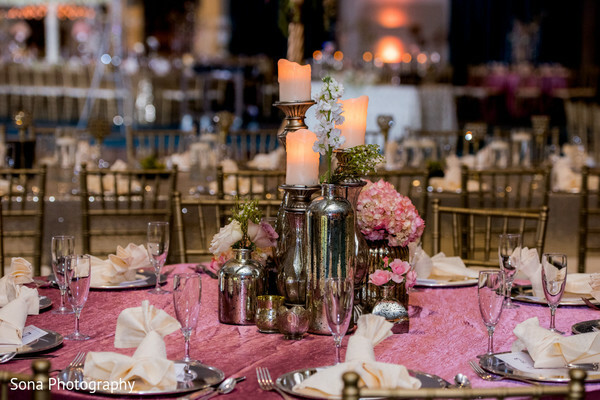 Meera took the weight of planning and designing her event off her shoulders and onto Jennifer Haskell from Just Events plate. 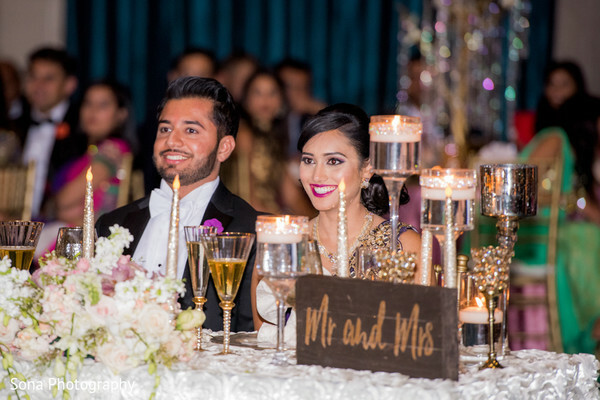 The final stop on our trifecta treat is back at the Hyatt Regency Grand Cypress Orlando where Dreams to Reality were busy doing what they do best - re imagining yet another Indian wedding venue decor. Asian Divas arrived with their makeup train to fancy the bride with a sophisticated updo and glowing skin complete with fuchsia stained lips. 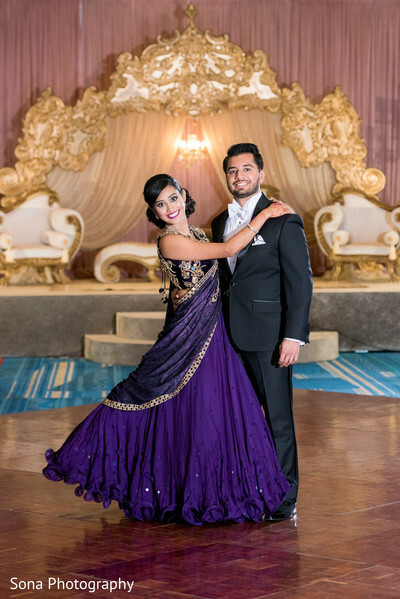 Meera donned a dazzling eggplant lengha that exhumed both royalty and pizzazz. The venue itself was a visionary masterpiece with draping beads hanging from corded floral and romantic illumination from table top candles. The thumping sounds from the speakers of Razz Entertainment kept guests rocking out while catering from Tabla Restaurant kept family and friends satisfied. 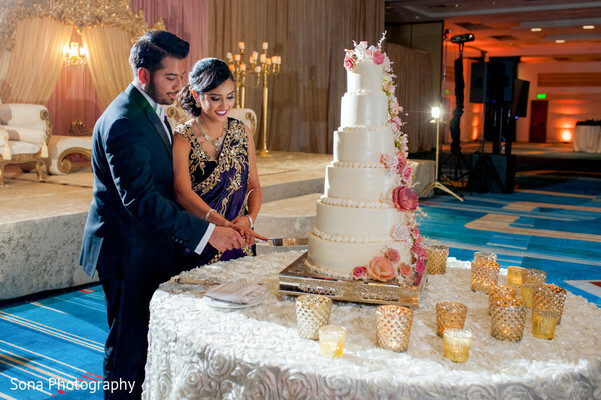 We are continuously adorning our brides and the cakes they pick and Meera most certainly takes the cake! 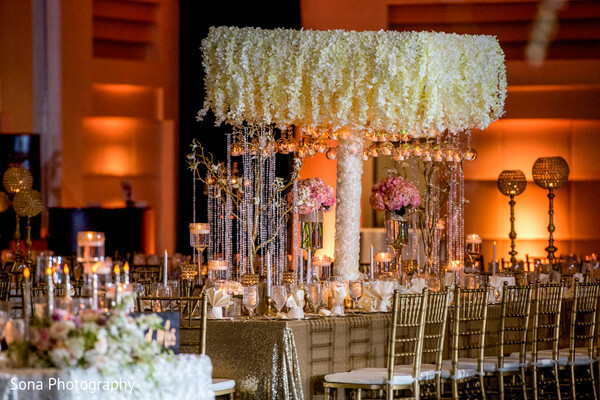 The bride and groom’s towering, floral embellished cake was confectionary perfection! 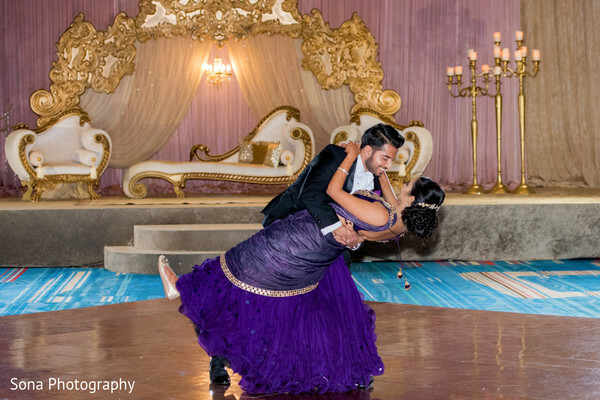 Head into the gallery where Sona Photography captured all the still action with Riant Films helming the cinematic experience. 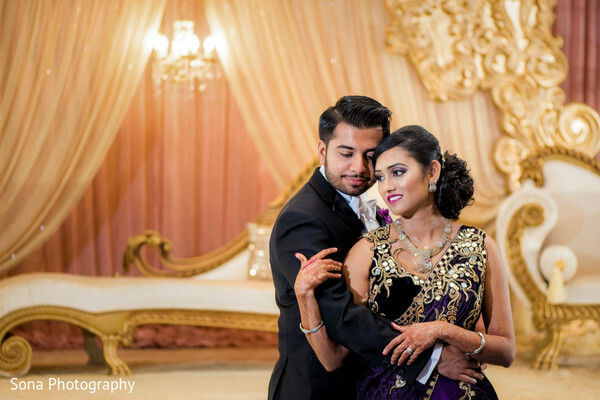 Sona Photography, Asian Divas and Dreams to Reality are members of the Platinum Guide. Love what you see? Explore their portfolios.